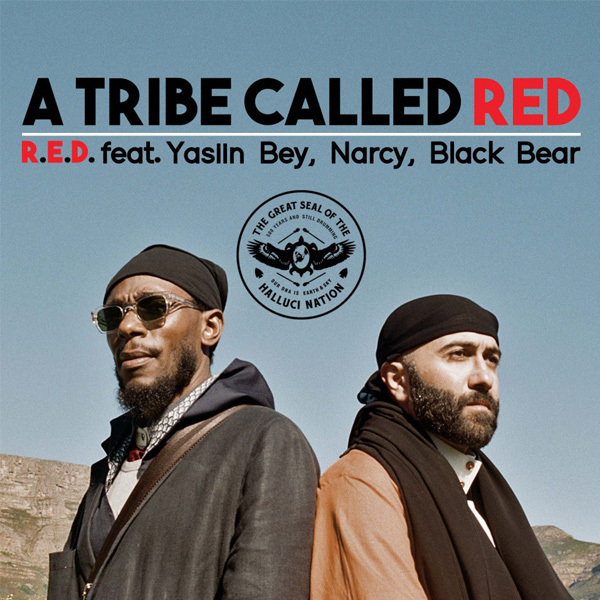 A Tribe Called Red Recruit Yasiin Bey, Narcy, and Black Bear for "R.E.D." A Tribe Called Red are gearing up to release their next album, We Are The Halluci Nation, and ahead of its forthcoming release on September 16, the Canadian producer trio have shared a loaded single. Featuring Iraqi-Canadian rapper Narcy, drum group Black Bear, and Yasiin Bey (fka Mos Def), “R.E.D.” is an exciting taste of their upcoming album. Premiered via Ebro’s Beats 1 show, “R.E.D.” is just as exhilarating as its line-up would imply.